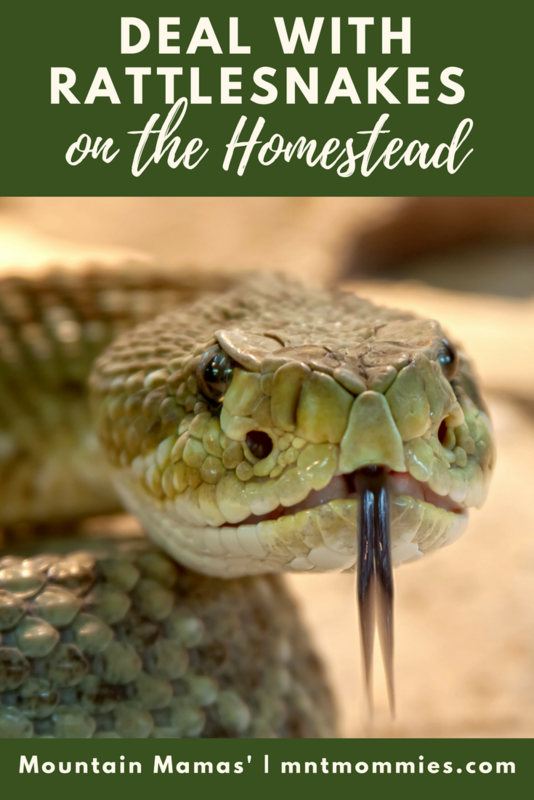 Let’s talk about rattlesnakes on the homestead. I had a neighbor pull into my driveway when he saw me working outside the other day. He told me that for the last 3 days he had killed 1 baby rattlesnake a day on the road in front of my house. Y’all, I grew up around snakes but that freaked me out. It means I have a rattlesnake den either on my property or across the road, and all my animals are in danger. While rattlesnakes don’t have many babies they do den together and that means there could be hundreds of snakes somewhere near me. No fun. I actually like snakes and do not mind having non-venomous snakes around. They keep the mouse population down. Did you know by snakes killing rodents they can help keep the spread of Lyme disease down since rodents are carriers of it. When a snake eats the rodent it kills the animal infected with Lyme and any ticks on it so it cannot spread. Pretty awesome right? So how can I keep my animals safe when rattlesnakes are around? Please know that what I do will not 100% guarantee that my animals stay safe, but it will help. Introduce a species of snake that will compete with food for rattlesnakes or kill them. In Georgia we had 2 king snakes at our barn that helped take care of the venomous snakes. In Montana I have heard that milk snakes will eat rattlesnakes so I am looking for one that needs to relocated so it can come live here on my property. Invest in livestock that will eat snakes. Chickens will eat the small snakes. Turkeys and guineas will eat larger snakes. Guineas are in fact one of the best pest controls you can get, they eat rodents, snakes, and ticks. Drive over areas you don’t want snakes 1-2 times a day. If you know snakes are in an area you don’t want them, stir that area up. My human takes the tractor with a landscape rake attached and drives over some of the rockier areas on our property. Snakes don’t want to live where there is constant disturbance, if they live their they will move and it will discourage any new snakes from moving in. Remove weeds and excess vegetation, tall grasses and weeds provide snakes with a place to hide out, it is important to keep areas of your yard that you are usually in well maintained. This is helpful so that not only you can see snakes if they are in your yard but also so aerial predators can see them and have a nice meal. Keep water sources unavailable to snakes. Many snakes, especially here in the high desert look for sources of water near homes. Make sure you do not have places where water pools up or containers for it to collect in. The only places I have water are in the pastures with my livestock. 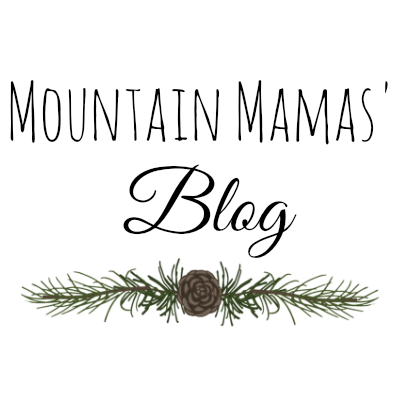 These are some of the things I am doing to deal with rattlesnakes on the homestead, but I am always cautious and if I am working in an area where I rattlesnakes might live I make sure to wear thick boots, pants, and gloves. 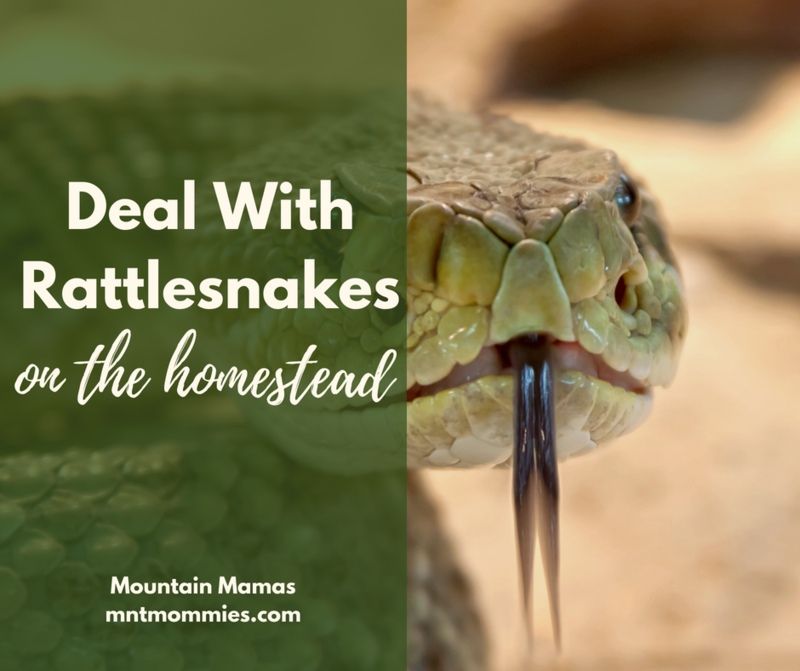 How do you deal with rattlesnakes on the homestead? 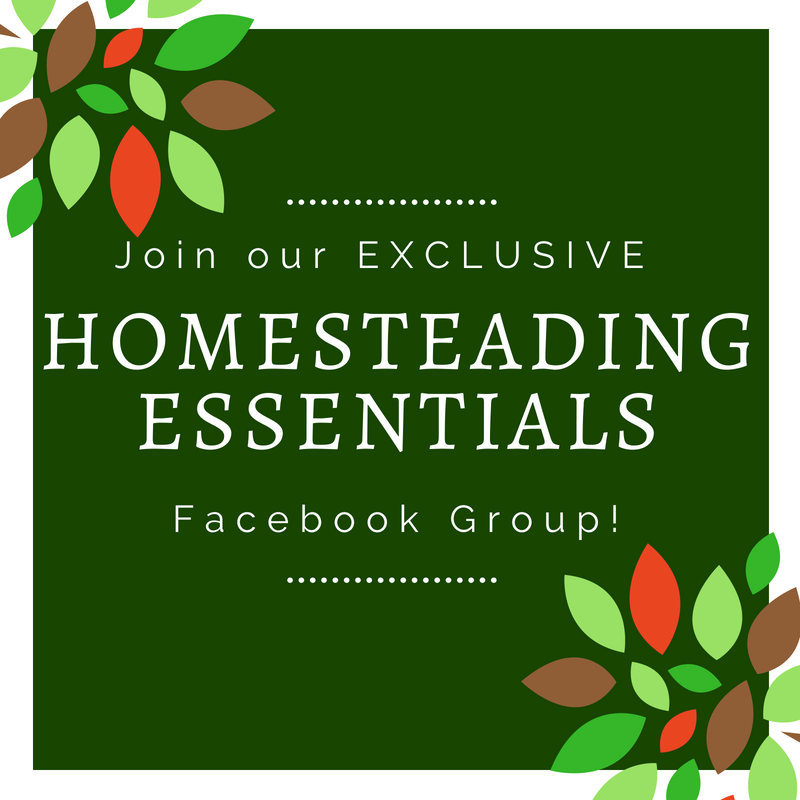 Join my Natural Homesteading Essentials Community on facebook, to chat with me and others all about the homesteading lifestyle! 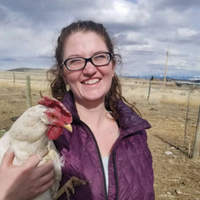 Everyone is welcome, even if you don’t have a homestead yet!